I'm from Oxford. I realised music was something I wanted to do when I was first able to sing, and ended up never shutting up. When I was younger, I was very inspired by female artists who played their own instrument / wrote their own songs. These were artists like Taylor Swift, Marina and The Diamonds, Lily Allen, Gabrielle Aplin. Nowadays, it's amazing that there's so many more female artists in the scene and who have creative control. The biggest influences on my writing now are Amy Winehouse, Lianne La Havas and Jorja Smith to name a few. I've more recently found the jazz/soul style become a strong element in my music from listening to these artists. I've also been drawn to the 70's era with artists like Fleetwood Mac and David Bowie, not only through their classic songwriting but also through fashion. I'd say jazz-pop. A concoction of dreamy electric guitar, soulful vocals, harmonies and a hint of synth. In January, I released my self titled 6 track EP. It's a product of what I've written over the past 2 years, while I was figuring out my sound. Throughout this time I was going through different situations with not a great mindset, and I guess the EP is about how this affected certain relationships and general outlook on life. It's also a very honest lyrically, while in reality I find it hard to be open about my own feelings. Oxford's really great for emerging bands and artists. Indie-rock is probably the most popular genre in the underground scene, but it's varying all the time. By the time I was 15 I was playing open mics and getting some paid gigs in pubs, there's tons to choose from. 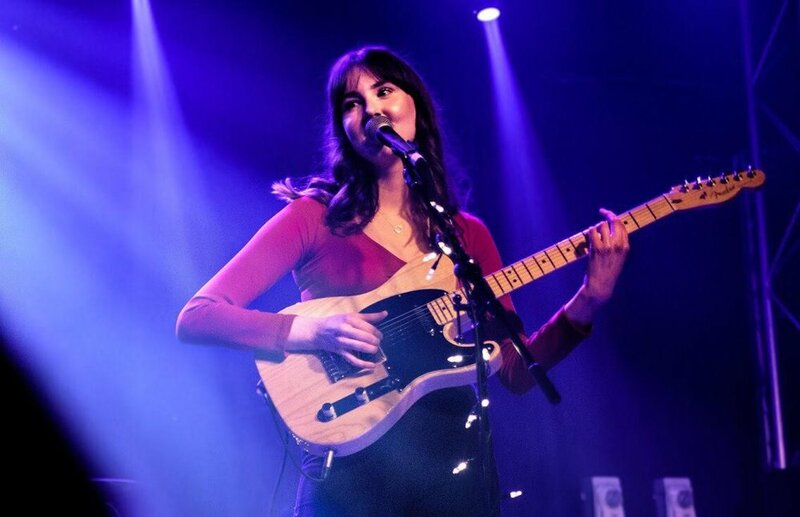 There's a lot of cool venues like the Cellar who put on a lot of upcoming music via promoters Future Perfect etc, and plenty of promotional platforms to get yourself known to, such as BBC Introducing Oxford. After this release, I am working to get some press on the new EP and promote it everywhere I can. I'm gigging more in London now, so I have shows booked there for next month. I also have a free summer, so lots and lots of gigs ahead. And of course, writing the next album! I'd love to work with Billie Eilish, I think she's extremely wise, creative and real. This one is more sweet then funny, but one of the first times we played a track called Desire live, I watched an elderly couple sitting at the front get up and start slow dancing. They looked so in love and it was so sweet to watch. I'm an unsigned, independent artist and I want to write and play music with my pals for the rest of my life. 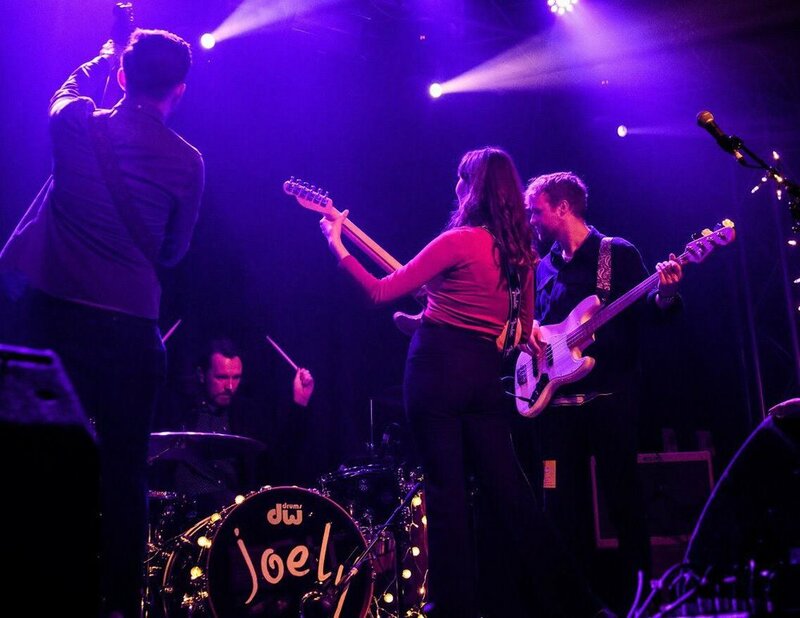 You can find out more about Joely via Facebook, Instagram, Soundcloud, Spotify or Twitter.